One of the comics industry’s true visionaries at every level, creator, writer, artist, designer, and entrepreneur, with over 5000 comic book credits to his name, Bob Layton has successfully migrated from comics to other media, including television, animation and feature films. If you’ve seen the Iron Man movies, then you’re familiar with Bob’s work as the DVD extras make clear. 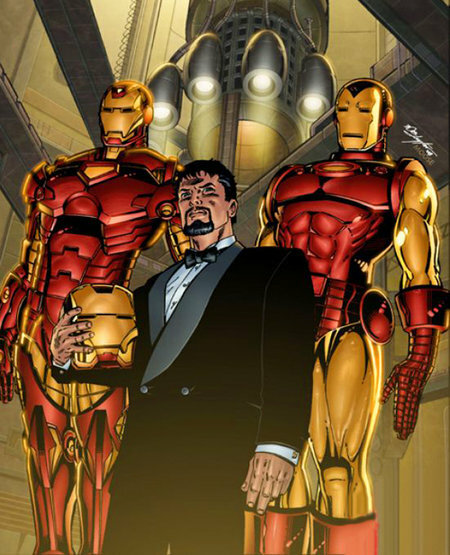 Bob reinvented the Iron Man comic in the late 70s, taking it from near-cancellation to one of Marvel’s all-time bestselling series. The classic Iron Man story “Demon in a Bottle” was recently voted “one of the top 20 comic stories of all time”. Bob also is credited as the co-creator of Marvel’s War Machine and DC Comics’ The Huntress as well as designing Mattel’s hugely-successful “Secret Wars” toy line. At Marvel, Bob launched the first mini-series in comics’ history with his highly-praised “Hercules: Prince of Power“. That series, which Layton wrote and drew, spawned several successful sequels, a graphic novel and is still available to this day in trade paperback format. Layton also launched the record-breaking comic series “X-Factor” for Marvel. As co-author, Bob was involved in the creation of the new Ant-Man (Scott Lang) and many of the characters that appeared in the hit Marvel film. Dubbed the unofficial “King of Marvel Merchandising”, Bob’s Bronze Age art currently appears on over 10,000 individual items for sale. Bob was instrumental in Valiant Comics’ meteoric success in the 90s — first as co-architect of the Valiant Universe and then, as its Co-Owner/Editor-In-Chief/Senior VP. Valiant continues to thrive to this day and has begun work on creating motion pictures based on Bob’s original creations with Sony Pictures. Layton also created major story concepts and art designs for the highly-successful ’90s video game- Turok: Dinosaur Hunter. In 2007, Bob made a career change and turned his attentions towards Hollywood, developing new properties for motion pictures and television. Bob has creative credits in seven Marvel films and a host of other television and movie acknowledgments while working with such stars as Academy Award Nominee Edward James Olmos, Kevin Feige, Robert Downey Jr., Jon Favreau (Iron Man 1-3 , Ant-Man and both Avengers films), Howard Stern, Tracy Torme’ (Star Trek, Sliders, Odyssey 5), Scott Winant (Huff, My So-Called Life, True Blood), John Turman (FF2: Rise of the Sliver Surfer), Patrick Massett and Jon Zinman (Caprica, Tomb Raider, Deep Blue Sea), Anne Marie Gillen (Fried Green Tomatoes), David Nutter (Smallville, X-Files, Sarah Conner Chronicles, Flash, Arrow), John Harrison (Dune, Children of Dune), Dante Harper (Mission Impossible, Edge of Tomorrow), Comedian Dane Cook and George Romero (Night of the Living Dead).